*I teach Students, Employees & their Spouse. Offline Classes: Saturday & Sunday. Course duration : Let's have conversation. * As good knowledge of Grammar is a pillar of any language, I can effectively help students to get good command over Grammar. 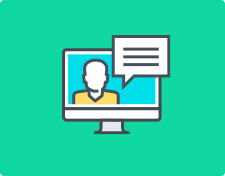 * You can enjoy your learning with me in a relaxing environment with real time practice including all 4 modules: Reading, Writing, Listening and Speaking. I am enjoying "German language exploration" with my students. 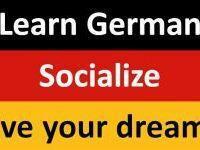 I have also observed that, irrespective of their ages, students have tremendous curiosity of learning German. And therefore, I have merged both 1. Goethe-Institute teaching pattern & 2. Osterreich Schweiz Deutschland teaching pattern. "Great Learning .Adequate pace for lessons. If you are investing your time in learning, use it wisely and have a great Learning with Shubha. Looking forward for my A2 course. " "The classes were very good and the teacher made the language look very simple by her way of teaching is good. " "She is good and knows the print materials very well. She is always prepared and most importantly, gets us to speak and corrects our frequent mistakes appropriately, with a good balance of examples." "I am very satisfy with her class and i would like to continue with her next level. 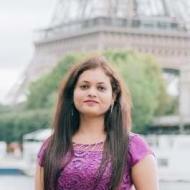 I wish good luck for her carrier "
Shubha N. describes herself as Language Expert. She conducts classes in German Language. Shubha is located in Rohtak, Rohtak. Shubha takes Regular Classes- at her Home and Online Classes- via online medium. She has 3 years of teaching experience . Shubha has completed Master of Engineering - Master of Technology (M.E./M.Tech.) from BITS Pilani, Rajasthan in 2013. She is well versed in German, English and Hindi. Shubha has got 10 reviews till now with 100% positive feedback.